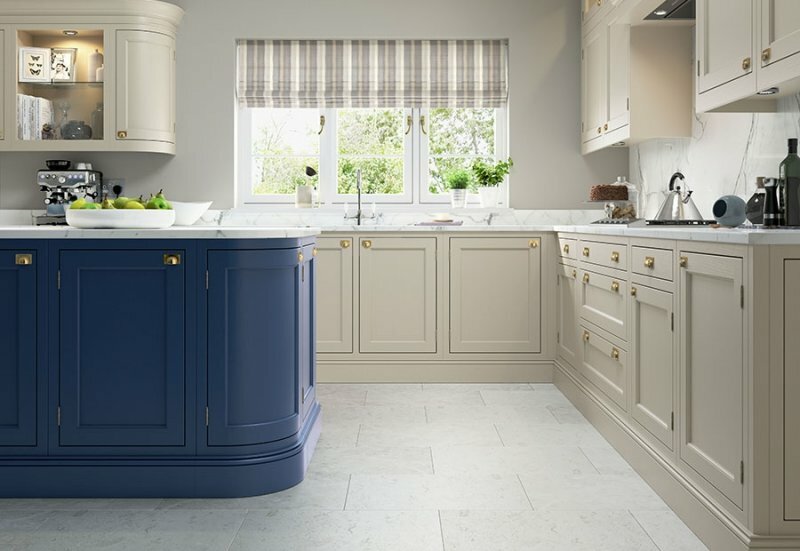 Belgravia Inframe Painted consists of a 20mm overpainted, solid ash frame with flat, veneered ash center panel and internal moulding. Grain visible. 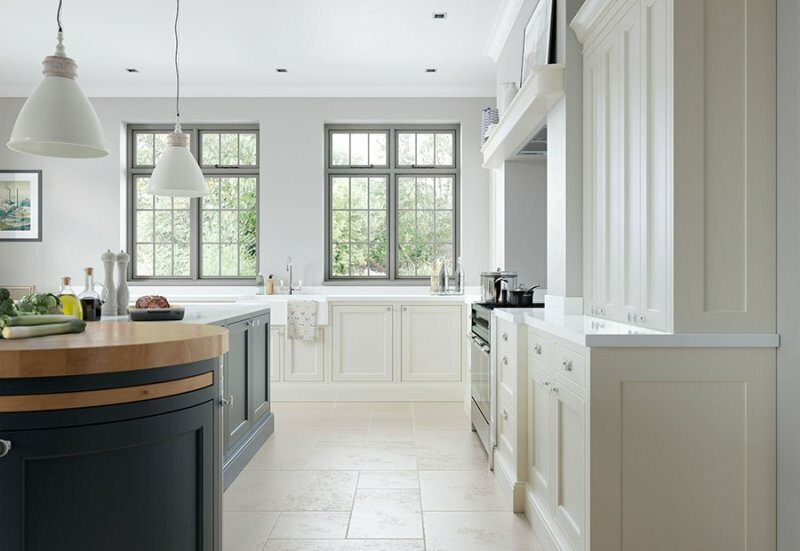 Available in 24 standard paint colours or can be matched to any Farrow and Ball colour. 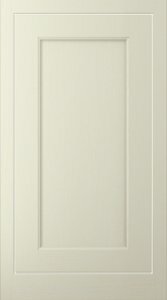 Choose antique pewter style Amerock hinges for a luxurious finishing touch. 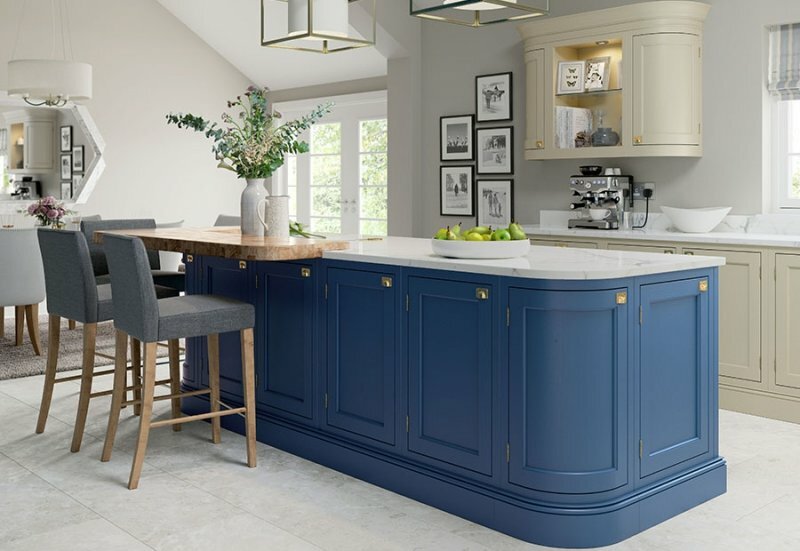 A luxurious central island unit showing integrated solid oak trays and chopping boards. 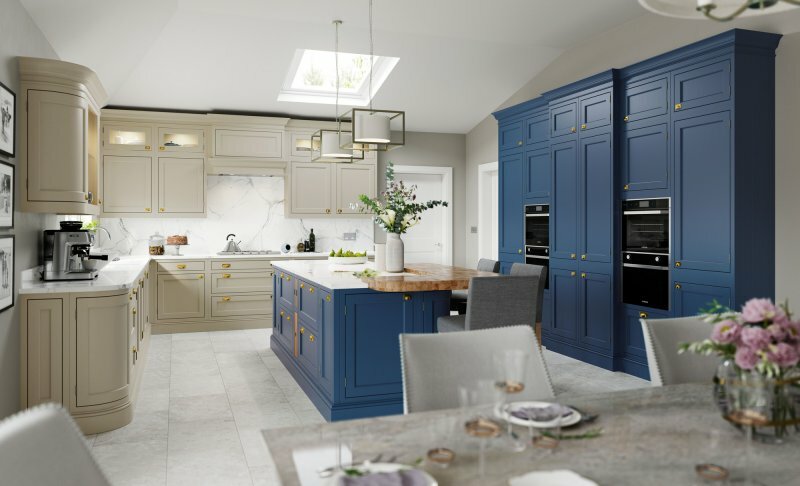 Central island featuring beautiful curved doors with skirting plinth and an open wall display for your most treasured kitchen items. 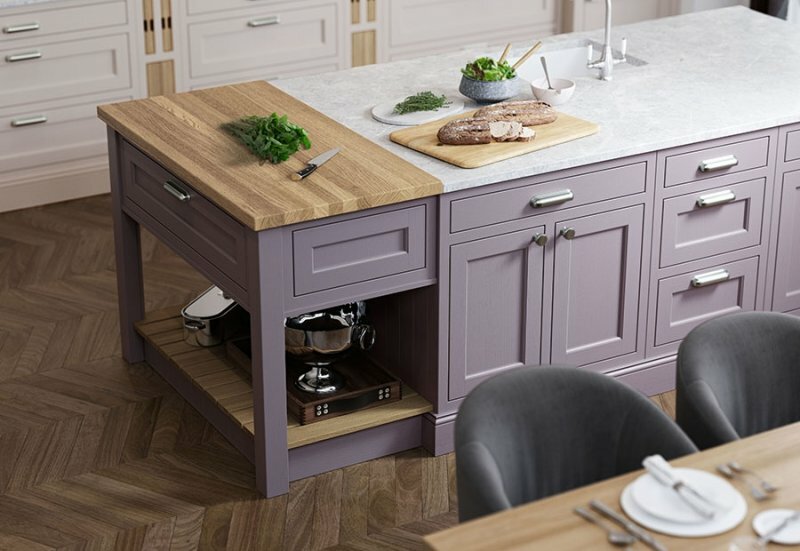 A pastry bench with slatted oak base and solid oak worktop can add depth to your overall kitchen design. 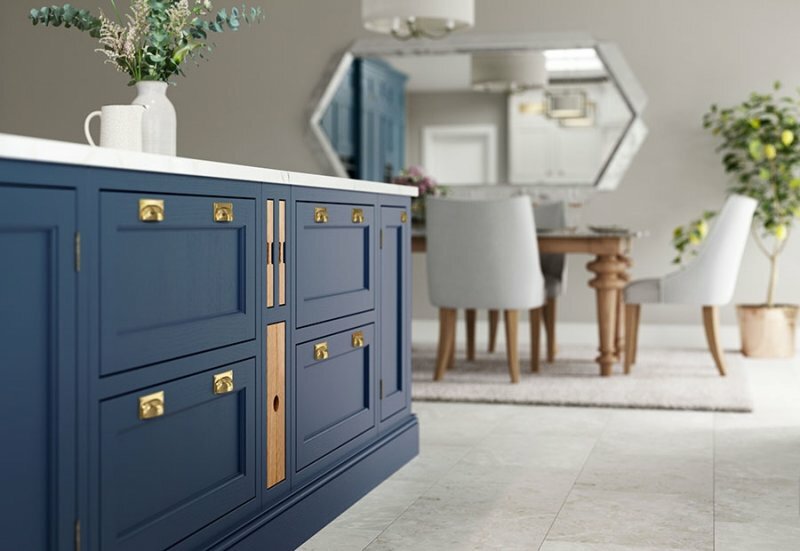 Curved doors & oak traysets are just some of the accessories on offer within this stunning range.